I started clubbing in 1992 at the age of 17 and it was a truly amazing and awesome experience, the music produced had such a majestic quality and it really shook my soul, but my journey carried me thru 99 and into the new millennium. I was out on a very sweaty night back January 1999 when i first heard Gouryella and the experience was just as magical and profound. While trance did essentially de-evolve towards the end of the 90s into a commercial mess of cookie cutter sounds and productions, there were still many a great time to be had. Gouryella was meant to give cheap thrills over the course of 10 min and while it isn't on par with Beethoven or Bach, it still offered thrills nonetheless. OK, fair enough. I wasn't trying to convince you it's a good record, I don't care whether you like it or not, honest. As to who the trendy snobs who liked the music when it came out and would now claim not to (or indeed claim not to even just ten years ago, never mind now) read some back issues of Mixmag magazine, you'll find a few there. I just mentioned Jam and Spoon because you mentioned Age of Love, I know their mixes aren't the original but they're usually the ones people enthuse about, aren't they? As far as first trance records, what about the KLF Pure Trance series? Trance was good from 1991 to 1994 (if that). Then it went downhill and those that went clubbing during the absolutely amazing 1992 year know exactly what I am talking about. The A side is a typical example of pastiche-run-of-the-mill trance shite. Now the B side is actually passable. when somebody ask me why is trance music,i dont answer with words, only put this amazing tune in my iphone and let the hear all the tune. i miss this days when music was create for love and noth for the money!! The year of Trance 1999, this is most favorite treasured tune ever, and the tune that got me into Trance. First heard this on Dave Pearce's Dance Anthems Radio 1 show, and then straight away brought this on Vinyl & CD, Memories. A true classic Ferry & Tiesto production. 10/10!!! What always intrigued me is the build-up of this track (before main melody kicks in). It sounds soo similar to VDM - Night Express 2000. Check it out if you got the chance. Gorella is pretty nice as well, banging tech stef..
Well, i remember when i first heard this, it was one of those sweaty Saturday nights in February of 1999. I believe it was Scott Bond who i heard play it first. Such a wonderful uplifting record. Nice bassline, great riffs and those strings are totally euphoric. Ferry Corsten definitely knows how to write a good melody. He absolutely ruled the trance roost in 1999 with a very high production rate and you'd be very very hard pushed to find a dud production from him in that year. My only snag with this track is that i feel that it is slightly too long, and the breakbeats 2/3's in are unnecessary. Other than that, this is a cracking slice of 1999 trance. 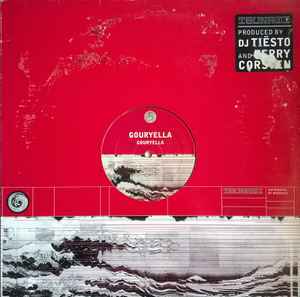 'Gouryella' probably marked the high point of the Dutch sound where trance is concerned. The original is a huge epic slice of shiny club euro trance that divides opinions. It appropriately starts of with the sound of a car hurtling by, and then launches itself into full-on euphoric mayhem. There are a couple of unfortunate 'wasp in a jam jar' moments, but these are more than made up for by the wonderful string arrangements, particularly the deeply emotional cello (or are that an oboe?). This track seems to have it all, and at nearly 11 minutes long it's just the right length as well. One of the best Dutch trancers ever.